As one of the leading voices in the advocacy of online storage for personal and business use, Raju has been successful in communicating what should (and shouldn’t) be thought of as quality products in the cloud. His site covers everything from the main features of the biggest clouds, to the details necessary to master and get the most value out of your cloud. What are the benefits of cloud computing for personal use? Business? Cloud computing is considerably one of the biggest things to happen to the world of computing, on a personal as well as a professional front, and it has a lot of benefits on both fronts. Personally, you no longer have to select a server to download from – which you haven’t been doing for years anyway – and there is a very good chance that cloud computing may completely do away with the very concept of an hard disk. The best case of cloud computing being beneficial for both the person as well as the organization is the educational field. With cloud computing, students can now logon to the cloud from wherever they are, and can learn whatever they want, giving the child the freedom to learn, and the educational institute saves a lot of investment money, because it no longer has to look at setting up classrooms and other infrastructure for students – it is all in the cloud now. What is the biggest risk of cloud computing? The biggest risk of cloud computing is of course, security. With even the strongest networks being broken into nowadays, one cannot be actually hundred percent sure that the data that they are transmitting or storing in the Cloud would be perfectly safe. Another big risk is privacy. If a company is giving cloud computing storage, there is every chance that they would want something in return. If the company’s core business is advertising, there would be nothing to stop them from harnessing the data that the users upload, and use it to promote products and broadcast advertisements. Are all services adaptable to all platforms, or should users be aware of compatibility issues? To speak about a cliché, just like there are different clouds in the sky, there will be different clouds in the IT industry. The big behemoths like Google and Microsoft have already launched their clouds, and though the IT companies today understand that they have to as cross platform as cross platforming can be, there will of course be some issues that will be sorted out as time goes by. For example, when Open Office was first launched, it was a big hassle to have it save files in the .doc format, and Open Office documents wouldn’t retain their formatting in the MS Office program, so on and so forth. However, in the end the consumer won, and we no longer have any compatibility issues. In the same way, there are some compatibility issues with the clouds of different companies, but that should be sorted out pretty soon. How secure is online storage? Will there be an increase in thefts to coincide with the increase in users and monetary gain? completely safe and the same rings true for cloud computing too. Cloud computing will have some issues with security, because this will be the always on network that should be able to be accessed from any device that one can think of. As for the increase of thefts, the scammers, online thieves and spammers have always been there, and this will only act as the proverbial honey to the bees. But with so much riding on the system, it is a given that the companies that have launched the cloud will be able to solve these issues almost immediately. How will cloud computing effect the companies that produce computers? Though it sounds like divine justice to people who have had to upgrade their machines every six months for the latest technology in hardware, cloud computing will not actually close down any computing companies. Think about it, even if it’s a cloud, it needs some type of hardware to run it – it is not actually running in the sky. Therefore, the only thing that will happen is that smaller computing companies will shift their direction to the bigger hardware clients, those who are setting up the clouds. 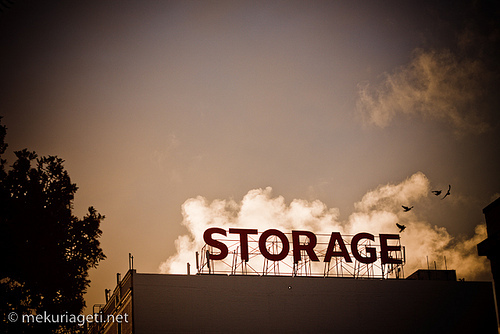 How will the fast progress of cloud computing affect the online storage industry? 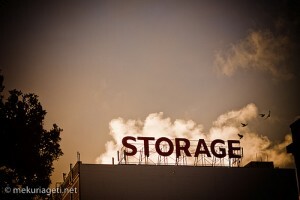 The online storage industry is going to have to change their entire thought process with the bigger behemoths coming into the online storage industry. These companies will have to run toe to toe with the bigger companies, and whether it will affect the storage industry or not, it will definitely spell good news for the end consumer. In such a crucial war, it is always the consumer who wins, with newer features, better options, and of course, a better user experience. What areas is cloud computing still need to be developed? Things like security need to be developed, as soon as possible. Another thing that should be done is to try to decrease the dependency of the cloud computing concept from the Internet connectivity. There are several countries that do not have access to the Internet in a way that the first world countries have.